Valet parking is available after 5:00pm nightly for $20.00 per car, validated parking is also available @ The Parcel 7 garage near Haymarket. Seasonal Covered and Heated Patio and Rooftop Dining. Our private function room offers a warm inviting authentic Mediterranean atmosphere with windows overlooking historic Hanover Street. We can accommodate 30 up to 70 guests in a private capacity. We host corporate, social events, bridal showers, bachelorette parties, rehearsal dinners, wedding receptions and special occasions. To inquire please visit our website and click on "Make a Private Dining Request" or please call Ristorante Fiore for more information. 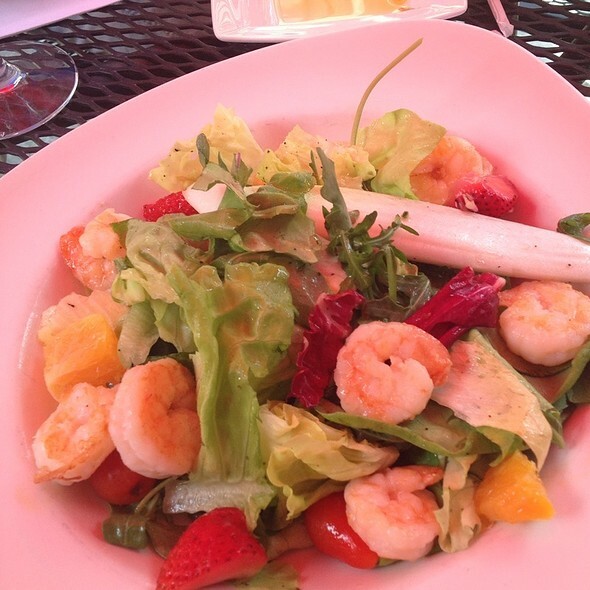 Welcome to Ristorante Fiore, where a lifetime of cooking, experience and passion goes into every meal. 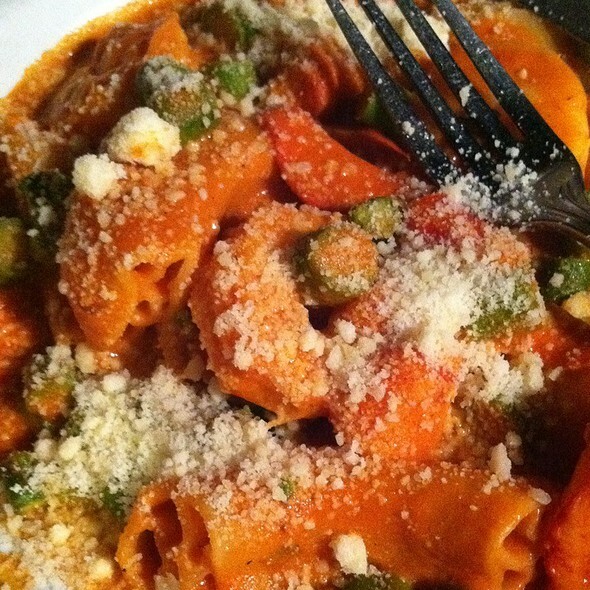 Fiore can still be found by the stove preparing dishes people crave. If you ask Fiore what keeps him going, the answer is: you. His greatest joy is pleasing the palates of friends, family and the stream of regulars. 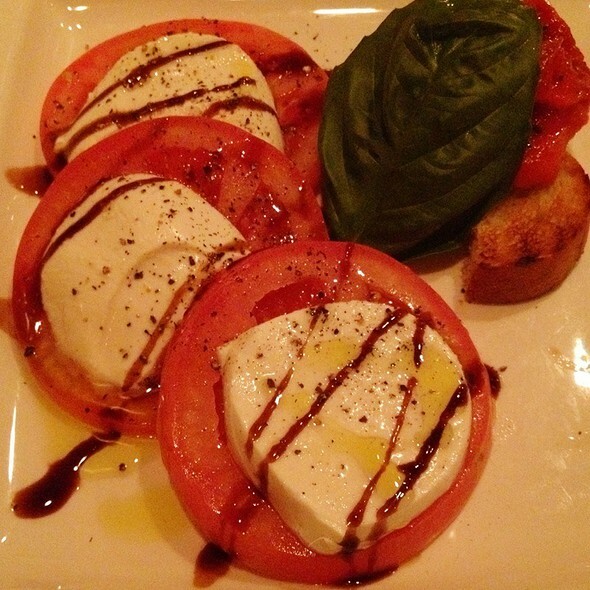 Fiore's soul satisfying Italian cuisine is inspired by you. With 3 floors of distinct dining rooms and the North End’s ONLY seasonal patio and heated rooftop dining, we can create the perfect atmosphere and menu for a small dinner or a grand affair. Our third floor private dining room can seat up to 70 people. So, relax and celebrate while we take service to new heights. The state of Massachusetts requires that we inform customers that consuming raw or undercooked meats, poultry, seafood, shellfish or eggs may increase your risk of food borne illness, especially if you have medical conditions. Menu items identified with an asterisks (*) contain raw or undercooked ingredients and are cooked to your specifications. We had our rehearsal dinner here 15 years ago. We took our kids back here for dinner and to see the restaurant. This place never disappoints. The food and service is always amazing. Thank you for a fabulous experience once again! We were there Marathon weekend and service could have been better. It was quite a wait to have water refills d bread brought to table. Would have thought service would have been kicked up a notch. Ravioli was very good. Waited over 30 min. past the reservation time to be seated and ate nearly 3 baskets of bread waiting over an hour for our meal. While we were waiting patiently an assistant manager approached and with a hostile tone stated that she realized our meal was taking a long time but they were very busy and we could leave if we wanted. I informed her that we never voiced a complaint and I didn’t appreciate her aggressive attitude. She explained that our waiter had told her we had been waiting a long time for our meal (and she must have assumed that the waiter said this because we had complained, which we didn’t!). After all that our meal came out about 10 minutes later and was no better than Olive Garden! DON’T WASTE YOUR TIME WITH THIS RESTAURANT! There are many others on Hanover St. The food was good, but not exceptional, and seemed a little pricey. The decor was bland and there was music playing out of speakers that was a little obtrusive. On the positive side, the service was quite good. 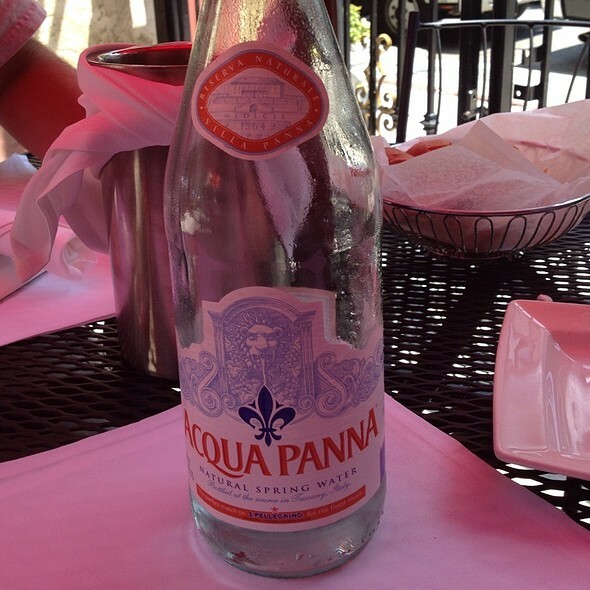 Food, service and atmosphere was perfect..highly recommend for excellent Italian comfort food! Birthday dinner for my daughter after the Bruins game. We had a booth upstairs and an endless stream of traffic. Turns out you have a roof top bar! Now we know! David was an excellent server and the hostess was super nice. Visiting Boston and looked in windows of various restaurants. The nicer ones such as this looked comparable. Made a reservation and had a wonderful time. The food was amazing! overpriced and food was just okay. Bread served was not warmed and was little stale. After appetizer, did not take fork and knife away (no clean silverware) and placed it back on table. It was not crowded but expected better food based on 4 star rating! Overall, our experience at Fiore was disappointing. The food was just "OK" and the prices were very high for what we got. The red sauce on the chicken parm tasted like jar sauce and not authentic Italian red sauce. Our waiter seemed very busy so our service was slow. At one point, he did come over and said he was overwhelmed with everyone at once, unfortunately, we were left in the corner table waiting for service. The young woman who was helping to pour water and clear plate was very attentive and accessible. we had an 8pm reservation, we did not get our dinner food until 9:45pm. I literally had to flag down our waiter, twice I told him we were ready to order and he said OK, and literally walked away. We never got an apology, or even explanation on the wait. We were starving by the time the food came, and it was sub par quality at best. Besides the quality it was small portions for astronomic prices. Were the service better, the quality of the food, or the size of the food, would have rated this slightly higher. But having eaten in so many Hanover st. north end restaurants, I can confidently say this is one of the worse ones, and we won't ever go back. Save your two hour wait on food with a conservation for a different north end restaurant. Always a good stop for dinner with out of town folks. The visit started off fine, the hostess was very pleasant and engaging. But once seated the service was terrible. Our group ordered a bottle of wine, a beer and one mixed drink. They brought the wine, opened it and poured it. 15 minutes later we were still waiting for the beer and mixed drink. Our server came over and asked if we were ready to order and was informed the other drinks never arrived. That was resolved so we ordered a bunch of apps, which seemed a bit slow to arrive, but we were not in any rush. However, when we finally ordered our entrees the service was noticeably absent. We received a couple of "drive by" apologies but finally I stopped our server and asked what was going on. The response was "I have no idea why they booked so many people tonight we don't have enough staff". That was followed up by the food arriving - we had four entrees - two were good and two were terrible. The ravioli special was overcooked with pasta being crunchy at the edge, and the eggplant parmesan was seemingly taken from the freezer and put into a microwave - and I am still looking for the eggplant. The manager came by and I voiced my displeasure and she offered to comp one of the entrees. But their subsequent offer to comp us dessert was declined - at that point we just wanted out. 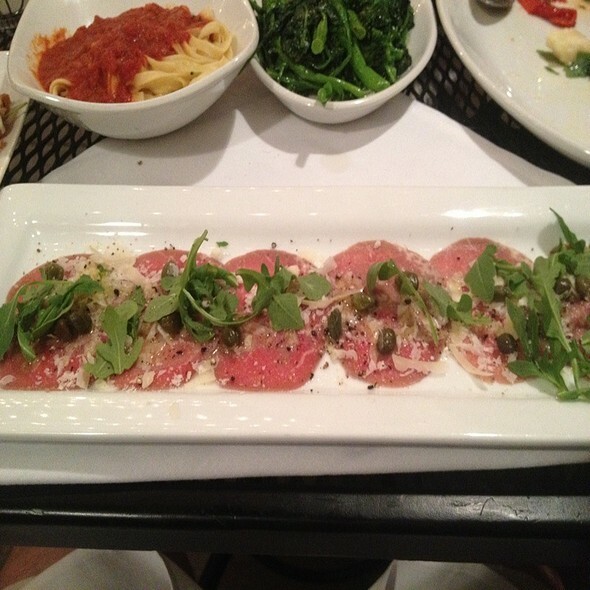 Our food was fantastic and the service was excellent! Would definitely go back. I love this restaurant! The service is great and the food is outstanding. With the convenient valet and fun vibe, you can't go wrong. Looking forward to visiting again! Great food , great drink list and enjoyed on their rooftop ! It’s a great place, great quality, great service but wasn’t overwhelmed by the taste of the food. Nice for an authentic Italian experience in Boston, but prob not the best Italian food I’ve ever had. Wonderful food and our server “O”, was a veritable fountain of information and a complete delight. We celebrated the birthday of my step-daughter in law in the same room as we celebrated at the wedding rehearsal dinner in January of this year. The food was delicious and service was incredible. Your hostess that night could care less about her job and your customers!! In addition, we were sat upstairs at very busy intersection and the tablecloth, dishes, and silverware had red sauce splattered everywhere. The hostess saw this but we had to request a new table. Sorry, but she should have apologized and automatically sat us someplace else. At our second location, it was very loud making it almost impossible to have a conversation with our friends. Thank goodness our server was far better than the hostess and our dinners were very good! But overall I’m not sure I’ll return anytime soon. 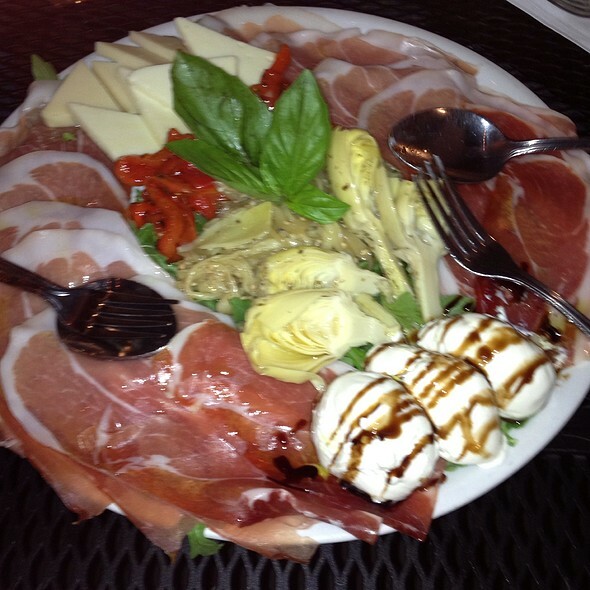 It had been a while since we have visited Fiore. I had lunch with my sister over the weekend. This place never disappoints. Server was attentive and friendly. I ordered off menu and asked for cacio e pepe (a very simple Italian standard) and they didn’t seem to know what it was. They made an attempt and it was ok but not remarkable. Prices were high and portions small. Overall an average visit. I wouldn’t go rushing back but wouldn’t go out of my way to avoid. Restaurant’s website indicates valet is $20 but valet charged $25...cash only. Excellent meal, great value. Homemade pasta and perfectly prepared seafood. We looked on Opentable for a last minute reservation and we also wanted a restaurant in the North End with great reviews. The restaurant didn’t disappoint. 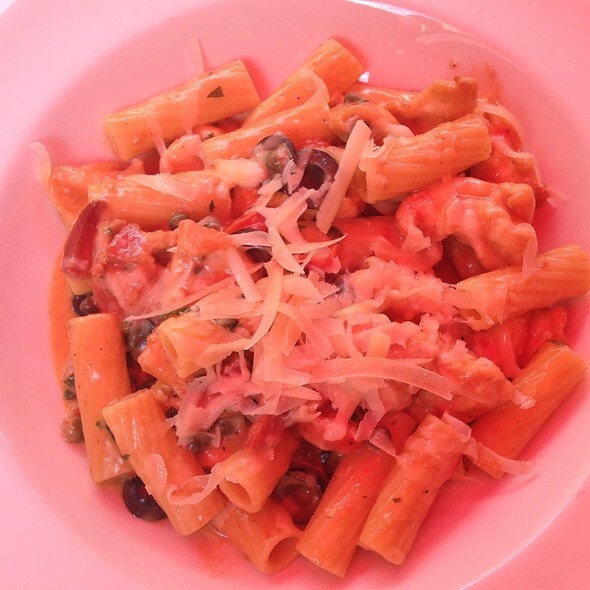 The seafood pasta was truly amazing! Anthony, our server, was wonderful! I can't remember the last time I ordered a bottle of wine and the server poured it. We ordered the arancini which my husband had never had but couldn't stop eating they were so good. The seafood with mildly spicy tomato sauce special was delicious and cooked perfectly which some restaurants couldn't accomplish with mussels, littlenecks, scallops, swordfish, and lobster and fresh thick spaghetti al dente. My husband was craving a pizza so ordered one for dinner off the lunch menu. As busy as the place became with a night Bruins game, Anthony was always there. Will return again probably when the roof top is open. Celebrating a birthday and chose Fiore. Disappointed as when reservation was made .. left a note asking if a dessert would be brought to the table with happy birthday written. simple. meaningful and not fulfilled. The lobster ravioli special was amazing! Make sure you get “O” as your waiter - he made our night. Extremely slow service, no water refills without flagging somebody down, and the food was very bland to say the least. This place was disappointing for the price. Food was great, as was the ambiance, however, we were very unhappy that our server apparently forgot to give our valet claim tix to the valet - which ended up causing us to wait one half hour for our car! Not good! Very unhappy about this mis-hap! All of the food here was delicious. We ordered the Arancini as our appetizer, which was delicious. 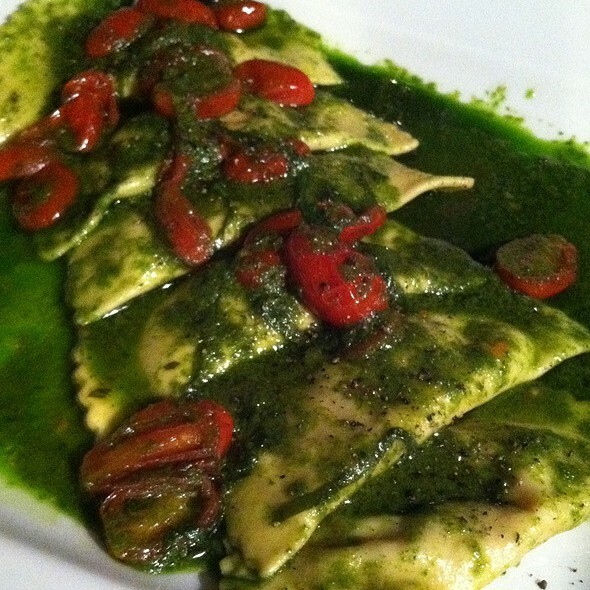 For our meals, we ordered the Lobster Ravioli, which was the special of the night. It was amazing! We also ordered the Saltimbocca di Pollo, which was very, very good. Overall, this was a great experience. Great food! Great atmosphere! Genuine Italian comfort food. Definitely a top North End Restaurant! Despite having a reservation at 8:45, we waited 25 minutes before being seated. Then no server came to take our order until 9:30. The restaurant was very outdated, and the room was filled with loud, drunk, obnoxious conversations. The food was ok, but very overpriced. Won't go back and would not recommend to anyone. There are so many other, BETTER, choices to enjoy in the North End.